In concert with the Safari West Wildlife Preserve, this campaign has been established to help with the Safari West Employee Recovery Fund. Over recent days, many employees of Safari West have lost their homes, including Safari West founders, Peter and Nancy Lang. In spite of this immense personal tragedy, these amazing people continue to dedicate themselves to the preservation of the preserve. Peter and Nancy Lang have politely but adamantly refused offers to fundraise on their behalf, however they welcome donations to aid Safari West family members who’s lives have been devastated by these fires. That was my motivation for establishing this fund. As a former guest of Safari West, I couldn’t just sit idly by and watch this all unfold. I had to do something to help and hopefully you feel the same. Please join me in offering a helping hand to these amazing wildlife advocates in their time of need. Who I am: I'm a software engineer living in San Jose and a supporter of Safari West and its conservation mission. Seeing how hard the Safari West family is fighting to protect the wildlife preserve compelled me to organize this fund. My relationship with the affected parties: I enjoyed an overnight stay at Safari West once and the experience was one of the best I can remember. I care about the animals and I care about the people who protect them. How the funds will be spent: So far, at least sixteen members of the Safari West family have lost their homes. Every dollar we raise will be used to help these people recover from this unprecedented disaster. Withdrawal Plan: The Safari West Wildlife Preserve is the named beneficiary for this campaign. 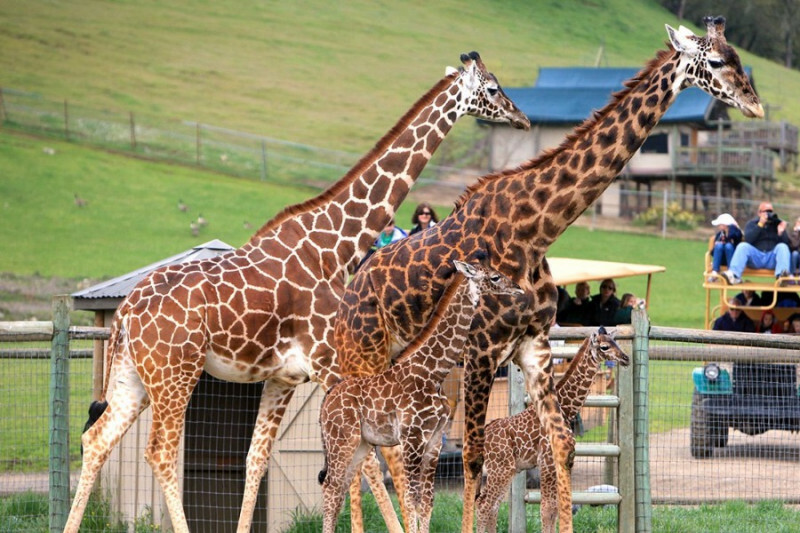 All funds donated are deposited directly to the Safari West Employee Recovery Fund. Thank you everyone for your generous donations. I had the privilege of visiting Safari West yesterday and saw just how much of an impact this fund has made in the lives of the staff. They were able to buy food and cloths soon after losing everything. Peter and Nancy Lang are amazing people. Along with their staff, they are among the nicest and most caring people on the planet. These are the people you've all helped. Now that we are nearing full containment on the Tubbs Fire, it's time to look toward the future. We're hoping to be able to offer safari tours of the preserve by mid-november. Currently, the target date is November 12th, but this is largely dependent on the state of the roads, power supply and other factors. We're hoping to have the rest of Safari West reopened by early March 2018. Please continue to follow us on Facebook and at www.safariwest.com for the latest updates. Thank you all for your love and support. We look forward to welcoming you all to Safari West in the very near future. KTVU Channel 2 News recently interviewed Keo Hornbostel (Executive Director of Safari West) and I about this fundraiser. They said they will be airing a story about the campaign during the 10 o'clock news tonight. Here's hoping that this will gain even more traction (not that it hasn't already)! Thank you everyone for your support. It is truly making a difference in people's lives!